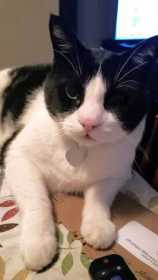 Mickey is a 20 lb black and white cat. Missing in Aurora hills. He had a collar on. Please call if sighted.